Amateur radio operators typically communicate with others in their local area using the 2 metre band (144 to 146MHz) – either from a home shack, a mobile, or a handheld. If you’re able to access a local repeater, you could be able to get your signal out to a wider area. Repeaters are typically sited at high points to allow signals to be retransmitted over a wider distance. The Danbury 2 metre repeater started operations in 1980, and is sited at the Danbury Church Green transmitter site. The site is also home to local commercial radio station Radio Essex. Licensed amateur radio operators are permitted to use the GB3DA voice repeater to talk to other amateurs. The repeater offers great coverage over a sizable part of Essex and the surrounding area. Note that GB3DA has a timeout of approx 2 minutes. The GB3DA repeater is available to all licensed amateur radio operators, and is operated by the Essex Repeater Group. The Essex Repeater Group relies on donations and membership subscriptions. If you use GB3DA, please show your support and contribute to ERG. To keep the repeater running, we’d ask that you consider becoming a member of ERG, or make a donation. Support the Essex Repeater Group. The owner of this site is proud to be a member of the Essex Repeater Group. 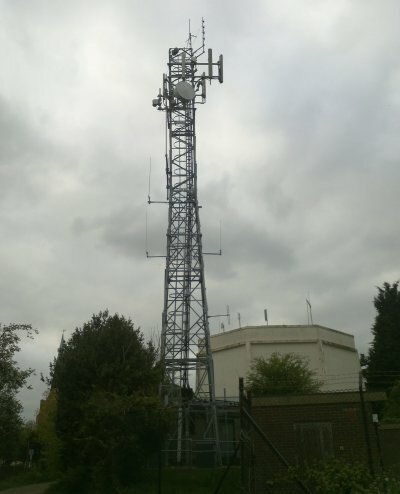 GB3DA operates from the Danbury Church Green transmitter site, which is a broadcast transmitter site operated by Arqiva, the company that owns and operates TV and radio transmitters across the UK. The transmitter site is currently the transmitter site for the radio station Radio Essex (formerly known as Chelmsford Radio) on 107.7MHz and is also used for mobile phones. This has been on too long now, Mend it or turn it off. My name is Gerard and I am living in the Netherlands. I have a short question. Is it possible to make a connection with the GB3DA repeater via echolink. Hi Gerard – Sorry but the GB3DA repeater does not have an Echolink connection. The MB7IDA gateway is based in the same area though if you want to try that. Thanks for the info , but the MB7IBA repeater is not accessible via Echolink. I have got my HAM license a month ago and I am doing some practice on 2 mtr and 70 cm. I want to make my compliments of the ESSEX HAM site. It is very useful for novice and advanced HAM’s . My aim was to make a connection via one of your local repeaters to join the conversations made between HAMs to learn from you. At home I am using HamSphere to practice. 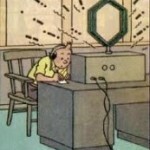 HamSphere is an virtual radio and made by Kelly Lindman and emulate part of the HF bands.